Cylinder block and cylinder head(s), all internal lubricated parts including pistons, piston rings, wrist pins, connecting rods, rod and main bearings, crankshaft, camshaft(s) and bearings, followers, lifters, pushrods, rocker arms, rocker shafts and bushings, timing chain and gears, timing chain tensioners, balance shafts, timing belt, timing belt tensioner, valves, valve seats, valve guides, valve springs and retainers, oil pump, oil pump pick up and drive, dipstick and tube, water pump, intake manifold, exhaust manifold(s), harmonic balancer, flywheel/flex plate, valve cover(s), timing case cover, oil pan, vacuum pump, motor mounts. Turbo/Supercharger Equipped: When selected, Optional Equipment-Features and the appropriate surcharge is paid. The turbo/supercharger housing and all internal lubricated parts plus the wastegate/bypass valve are covered. 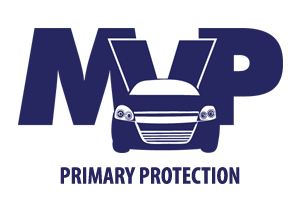 Diesel/Turbo Diesel Equipped: When selected, Optional Equipment-Features and the appropriate surcharge is paid. All internal lubricated parts listed under ENGINE plus the diesel injection pump, metal fuel lines and nozzles are covered. Automatic Equipped: Transmission case and all internal lubricated parts including oil pump, valve body, torque converter, governor, clutches, bushings, shafts, gear sets, bearings, vacuum modulator, dip stick and tube, transmission mounts. Standard Transmission Equipped: Transmission case and all internal lubricated parts including shafts, bushings, bearings, gear sets, synchronizers, shift forks and transmission mounts. Transfer Case Equipped: When selected, Optional Equipment-Features and appropriate surcharge is paid. The transfer case housing and all internal lubricated parts including main shaft, gear sets, chain and sprockets, bearings, bushings and transfer case mount are covered. Front Wheel Drive Equipped: Drive axle housing and all internal lubricated components including carrier case, gear sets, chain and sprockets, bearings, bushings, axle shafts, constant velocity joints and double offset joints (except if boot was damaged or missing), front and rear wheel hub bearings. Rear Wheel Drive Equipped: Drive axle case and all internal lubricated parts including carrier, ring and pinion gears, gear sets, bearings bushings, limited slip clutch pack, axle shafts, drive shafts, drive shaft support, u-joints, front and rear wheel hub bearings. Four Wheel Drive/All Wheel Drive Equipped: When selected, Optional Equipment-Features and the appropriate surcharge is paid. All components listed under Front Wheel and Rear Wheel Equipped are covered plus locking hubs. Compressor and clutch, condenser, evaporator. Alternator, voltage regulator, starter motor and drive, starter solenoid, front windshield wiper motor. Includes all of Three Star, plus these enhanced named components listed below. Engine: Drive pulleys, auxiliary oil cooler and metal cooler lines, oil pressure sending unit, water jacket-core plugs. Transmission: Oil cooler and metal cooler lines, electronic shift control solenoid(s) and speed sensor. Receiver drier, orifice temperature control programmer, P.O.A. valve, expansion valve, heater/AC blower motor, heater core. Rear wiper motor and front/ rear windshield washer pump(s), delay circuit board, relay and switch. Heated back glass-element, electronic ignition module, wiring harnesses, power window motors and power window regulators, power door lock actuators, horn(s), manually operated electrical switches (except audio/video control switches), ignition switch, brake light switch, and doorjamb switches. Radiator, radiator cooling fan and motor, fan blade, fan clutch, fan shroud, coolant recovery tank, thermostat, temperature sending unit. Fuel pump, fuel tank, fuel tank sending unit, fuel tank filler neck. Upper and lower control arms including shafts and bushings, upper and lower ball joints, stabilizer shaft including linkage, mounts and bushings, strut rods, kingpins, spindles/knuckles and supports, wheel hub bearings. Front End Alignment will also be included where required to complete covered repairs. (Gear or Rack and Pinion Equipped) The housing and all internal lubricated parts including the power steering pump, power steering reservoir, power cylinder assembly, main and intermediate steering shaft and coupling, power steering oil cooler and metal lines, tie rod ends, center link, idler arm, pitman arm. Four Wheel Steering: When selected, Optional Equipment-Features and the appropriate surcharge is paid. The secondary steering rack or actuator, rear power steering pump and tie rod ends are covered. 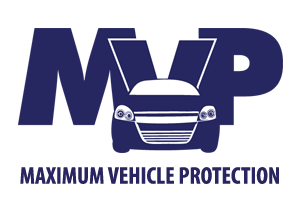 Two or Four Wheel Alignment will also be included where required to complete covered repairs. Power assist booster, master cylinder, disc brake calipers, wheel cylinders, hydraulic metal lines and fittings, metering/proportioning valve, parking brake linkage and cables. (Included in Four Star Coverage vehicles sold with less than 100,000 miles.) All seals and gaskets for named components in the appropriate coverage level except when the cause of failure is the result of overheating, lack of lubrication or lack of required fluids. Includes all of Three Star, Four Star, plus hundreds of additional components. This coverage supplements the vehicle’s protection provided under a new vehicle warranty from the manufacturer. Included in this coverage is the replacement of covered components resulting from the gradual wear and use when the wear exceeds manufacturer’s specifications. Five Star Coverage will cover necessary repairs to your vehicle’s mechanical and electrical systems except for items shown in a short exclusions list. Only what you would expect. Routine maintenance items such as oil, coolant,fluids, refrigerant, and others are not covered. Items that routinely need replacement such as the battery, tires, brake pads, brake drums, brake shoes, exhaust system, and shock absorbers are not covered. 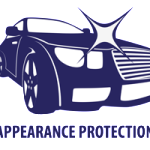 Appearance concerns and exterior items such as bright metal, vinyl, ornaments, wheel covers, and paint are not covered. Interior items such as upholstery, buttons, carpet, door and window handles are not covered. Included in all levels of coverage is the replacement of covered components resulting from the gradual reduction in performance due to normal wear and use, when the wear exceeds the manufacturer’s specifications. All coverage levels include these additional benefits listed below. Included in all coverage levels, is the replacement of covered components resulting from the gradual reduction in performance due to normal wear and use, when the wear exceeds the manufacturer’s specification. In the event of a mechanical breakdown of a covered part, you will be reimbursed for actual expenses incurred for substitute transportation up to $35 per day, for five (5) days, not to exceed $175 per occurrence. Provides reimbursement up to $225 for meal and lodging expenses incurred when a covered breakdown disables your vehicle more than 100 miles from your hometown. Maximum Vehicle Protection provides National Roadside Assistance through Road America Motor Club for towing and other emergency needs. If you have a breakdown or need other assistance, call the toll-free number 24 hours a day. If you choose to extend the Maximum Vehicle Protection beyond the term of your first contract, you may purchase a new contract up to 30 days and 1,500 miles before expiration. In the event you sell the covered vehicle to another private party, you may apply for transfer of coverage to the new owner. Refer to the service agreement section terms and conditions for necessary procedures. Choose the deductible that fits your budget and your driving needs. 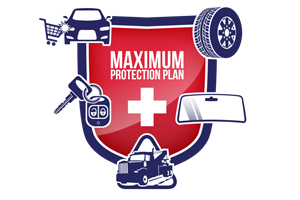 Maximum Vehicle Protection service contracts are accepted by repair facilities anywhere in the U.S. and Canada. Claims can be paid by corporate credit cards to expedite your repair. These benefits are provided for the term of your service agreement for up to $100 per occurrence, with no annual fee. When towing is necessary, the covered vehicle will be towed to the destination of your choice. If a battery failure occurs, a jump-start will be applied to start the covered vehicle. Tire service includes removal of the flat tire and its replacement with the covered vehicle’s spare tire. An emergency supply of coolant, oil, water or fuel will be delivered to your covered vehicle at place of disablement. You will pay the cost of the actual fluid or fuel when delivered. If your keys are locked inside the covered vehicle, assistance will be provided to gain entry to the vehicle. Just sign and go, there are no receipts to submit for reimbursement.